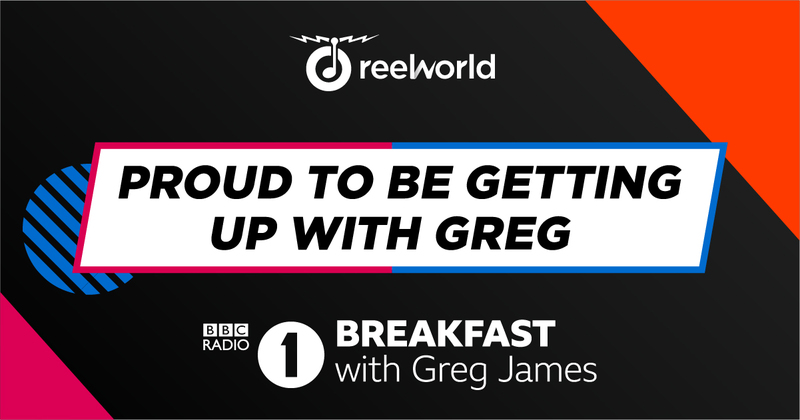 The team at MediaCityUk spent the summer collaborating with the BBC’s in-house producers to create the theme music and imaging ahead of the launch of Radio 1 Breakfast with Greg James. They are also working on new imaging to launch on 1Xtra later this year. ReelWorld created a main theme with repeating motif to help bring Greg’s vision for the sound of the show to life. Alongside the main theme are multiple beds that cover different musical genres on the station’s playlist. Anthony Gay, ReelWorld’s Managing Director: “You don’t get much bigger than this! If you grew up in the UK you listened to the Radio 1 breakfast show, and as the show enters an exciting new era with Greg at the helm, we were delighted to be asked to create a theme that helped define the new show”. The BBC Radio imaging team and ReelWorld Music Director Erik Huber have spoken to the latest Earshot Creative podcast about the project, which can be heard here. Alongside the new imaging for the breakfast show, the team also produced daily ‘Summer Mixes’ for Radio 1 and continue to create the ‘Workout Wednesday’ mix which is heard weekly on Adele Roberts’ early breakfast show and on the BBC Sounds website.